Compare discount car rental prices in Ibiza, Spain and BOOK NOW! Ibiza is perhaps the most popular destination in Spain for the younger traveller, keen to experience the world famous beach and club parties that the island is known for. It is the third largest island of the Balearic islands in the Mediterranean Sea and is 79 kilometres off the coast of the city of Valencia. The island isn’t just for party-goers though, it is also home to a great array of historical buildings, acres of countryside and thriving flora and fauna. It’s a beautiful island to explore by car - and you will be rewarded by stunning views of the sea and lengths of secluded beaches and country that you can easily explore in peace. We have all kinds of deals available for the island including sporty coupes and lavish convertibles. • Perhaps surprisingly, due to its status as a party island, Ibiza is a world heritage site thanks to its architecture and coastline. 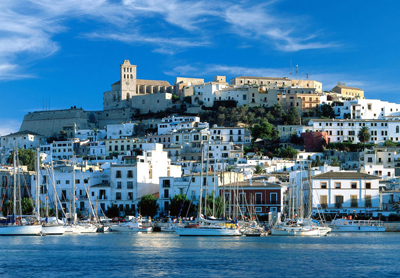 • Ibiza’s official name in the native Catalan language is Eivissa. • The earth in Ibiza is orange - the reason being is that the pine trees that inhabit the island drop their needles that contain tannin and when these fall to the ground - the tannin stains the earth the vibrant orange colour you see all around. • The island doesn’t have any harmful wildlife - meaning you can quite safely kick back on the beach or in the grass and not have to worry about anything having a nibble! 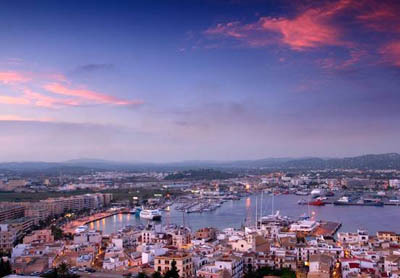 • The capital of Ibiza - Ibiza Town - has a population of just 43,000 people. • This one isn’t strictly a fact - but it is a rumour. New evidence in the form of writings, suggests that Christopher Columbus - the adventurer, may well have been from Ibiza - making him a Ibicencan. A very nice element of Ibiza, is the seclusion that many if its beaches offer the daring traveller. Because of the lay of the land, many beaches can only be reached by either boat - pulling up on the sand in a boat is always a nice way to make an entrance, or by following dirt tracks and little tread country roads. One such beach is the Cala Llentrisca beach which though small offers a beautiful spot for contemplation and bathing. The waters here are magnificently blue, dotted in the distance with lazy fishing boats, the beach is quiet. Another place to fins a secluded beach in Ibiza is in Cala Tarida, which a short way from the white sand beaches and hotels found here, you’ll find, nestled in and around rocks and cliffs several little coves - some of which you’ll need to reach by water as there is no other way. These little slices of seclusion are quite popular with the locals - but if you want to get away from the crowds of the major beaches - then this is perfect. There are of course miles and miles of beautiful countryside to explore on the island too, where you can take a picnic and spend the day under the sun, or just explore between visits to some of the smaller villages and towns that scatter the island. Some of the more interesting attractions on the island include the alluring Es Vedra which is a 128 metre high island rock just off ibiza’s west coast that comes with a whole host of myths and legends that say that sirens and sea- nymphs once lived there, the numerous churches that can be found in each town and are mostly the typical white fortified variety that Ibiza is known for, and the old part of Ibiza Town which is a maze of cobbled streets and narrow, winding alleyways. If you’re more in the mood for some sport, then you’ll find no short supply of things to do either in the sea or on land. You can take a boat and go swimming and snorkelling, play golf at one of Ibiza’s many golf courses, go parasailing or play beach volleyball. If you feel like it, and you can persuade your partner, then you can even get married quite easily on the island with many English speaking wedding organisers and photographers specialising in marriages on the island. But of course, perhaps the most famous attraction of the island is it’s clubs and bars - of which it has absolutely no shortage. The big clubs, and well known to most are places like Pacha, Privilege, Eden and Space which hosts it’s own seasonal opening and closing parties - which have become the unofficial start and end of the clubbing season in Ibiza. Ibiza also has all kinds of cuisine available - from traditional foods like the local specialty Ensaimada to English, French and Mexican cuisine. 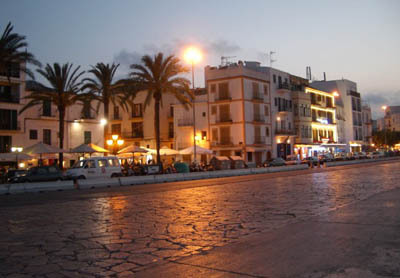 The island is a little expensive when compared to other areas of Spain, but if you plan ahead and book not just your travel and accomodation ahead of time, but your Ibiza car rental too, then you’ll have an amazing time - especially if you aim to explore everything that Ibiza has to offer.